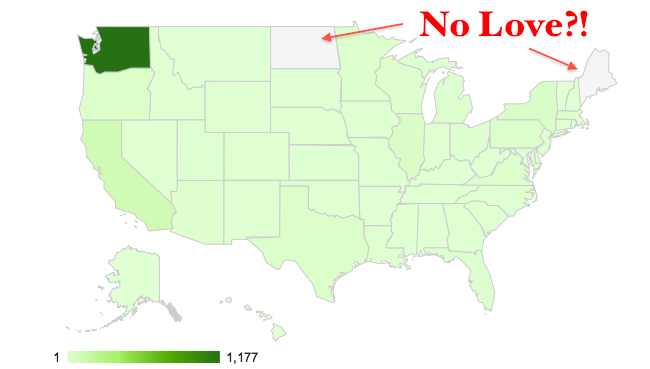 If We Assume: North Dakota and Maine: Where's the Love?! As of thursday this blog has passed 10,000 page loads, and I'm super excited that people seem to be reading it! My friend Alex said that I'm a "huge data nerd", a great compliment I'd say, and I hope my blog reflects this. Like any data nerd who runs a blog I have many analytic tools that track visitors, page loads, visit duration, etc.